Washington. President Donald Trump threatened on Friday to close the southern US border unless Congress agrees to provide $5 billion in taxpayer funds for a border wall with Mexico, blaming Democrats for a partial government shutdown that he previously said would be on him. A dispute over funding for Trump's proposed wall has led to "non-essential" operations at numerous agencies being closed for lack of funding, and with Congress adjourned until next week there was no prospect of a quick resolution. "We will be forced to close the Southern Border entirely if the Obstructionist Democrats do not give us the money to finish the Wall & also change the ridiculous immigration laws that our Country is saddled with," Trump tweeted. "Either we build [finish] the Wall or we close the Border," he added. The standoff over Trump's demand for money to help fund the border wall, estimated to cost about $23 billion in total, was in its seventh day and was widely expected to drag into January when Democrats take control of the US House of Representatives. Asked about Trump's border-closing threat, Mexican President Andres Manuel Lopez Obrador told reporters it was an internal US government matter. "We take great care of the relationship with the government of the United States," Lopez Obrador said. "Of course we will always defend our sovereignty... We will always protect migrants, defend their human rights," he said. Earlier this month, the Republican president said he would be "proud" to shut down the government over border security. In television interviews on Friday, Trump aides sought to blame Democrats for the continuing shutdown, contending that they have refused to negotiate since the White House made an offer last weekend. "We're here, and they know where to find us," Mick Mulvaney, the White House chief of staff, said in an interview with Fox News Channel. "Where is Chuck Schumer? Where is Nancy Pelosi? They're not even talking right now," he said. Schumer is the top Democrat in the Senate and Pelosi is the incoming speaker of the House of Representatives. A spokesman for Schumer said the White House has been told that there are three existing federal funding proposals containing funds for border security that could pass both the House and the Senate – and that Trump should accept one of those. At present, however, the two sides remain far apart, Schumer's office said. Democrats have offered support for $1.3 billion in funding for general border security, but have long opposed the building of a wall. If the stalemate persists, House Democrats, led by Pelosi, plan to immediately offer a funding measure to reopen the government when they take office on Jan. 3. Pelosi and Schumer have been discussing three general options for that legislation, according to a senior Democratic aide. The options are a stop-gap funding bill that would run through Feb. 8; six full 2019 appropriations bills for all but the Department of Homeland Security, which would instead be funded through a measure known as a continuing resolution maintaining current funding through Sept 30; or a continuing resolution for all shuttered government agencies that would expire on Sept 30. The aide said the legislation expected for a full House vote on Jan. 3 could be a variation on any of the three options but added that no decision has been made. According to a Reuters/Ipsos poll released on Thursday, 47 percent of Americans hold Trump responsible for the shutdown, while 33 percent blame Democrats in Congress. The shutdown affects about 800,000 employees of the departments of homeland security, justice, agriculture, commerce, and other agencies. Most of the federal government, which directly employs almost 4 million people, is unaffected. Even agencies that are affected never totally close, with workers deemed "essential" still performing their duties. Trump, who scrapped plans to spend Christmas in his Mar-a-Lago resort in Florida and stayed in Washington due to the shutdown, had now also canceled his New Year's plans, Mulvaney said. 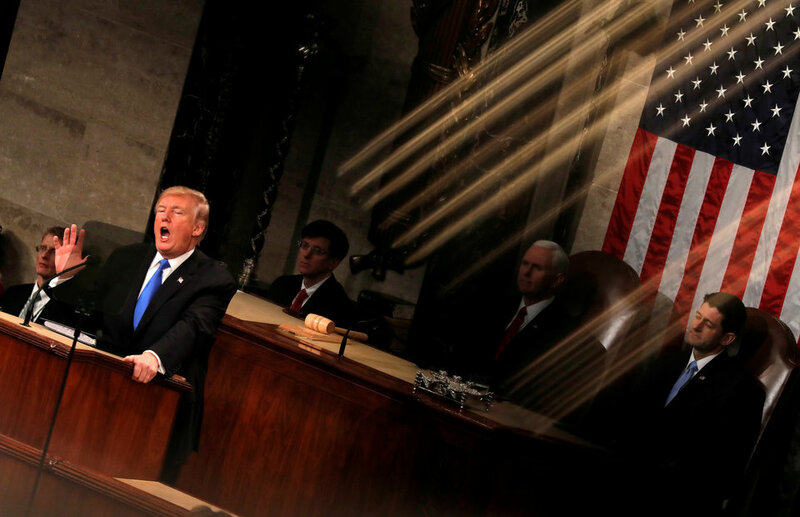 Chris Krueger, an analyst at financial firm Cowen's Washington Research Group, said in a commentary note: "We see little chance of a breakthrough before the Democrats take control of the House on Jan. 3."